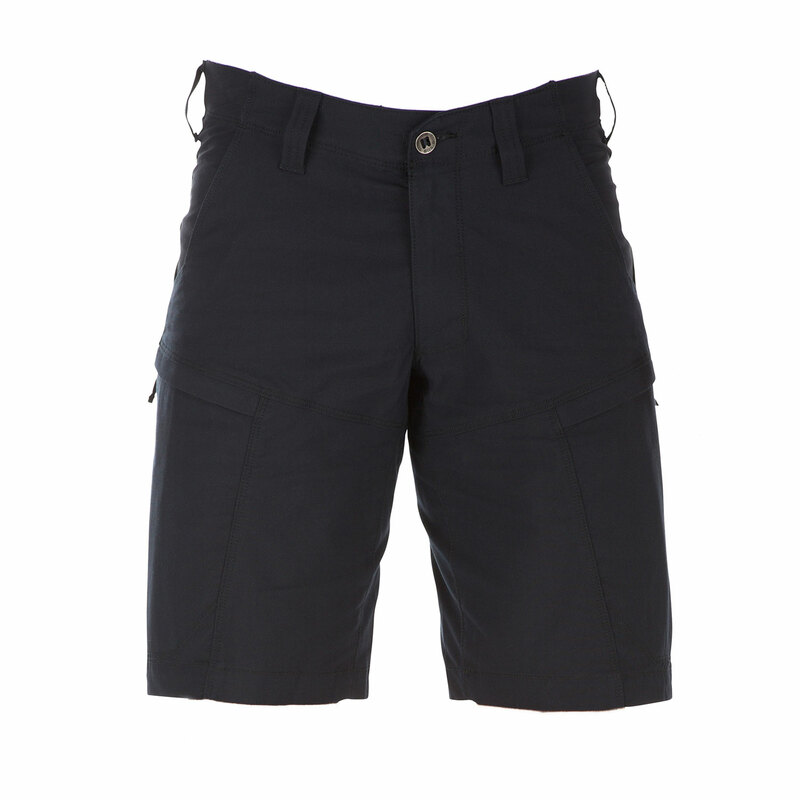 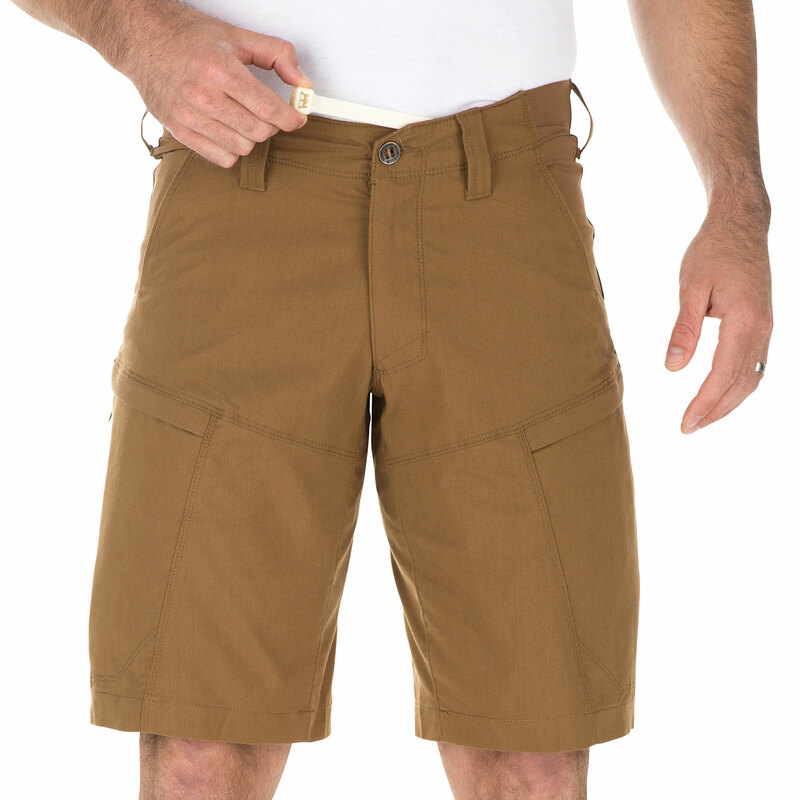 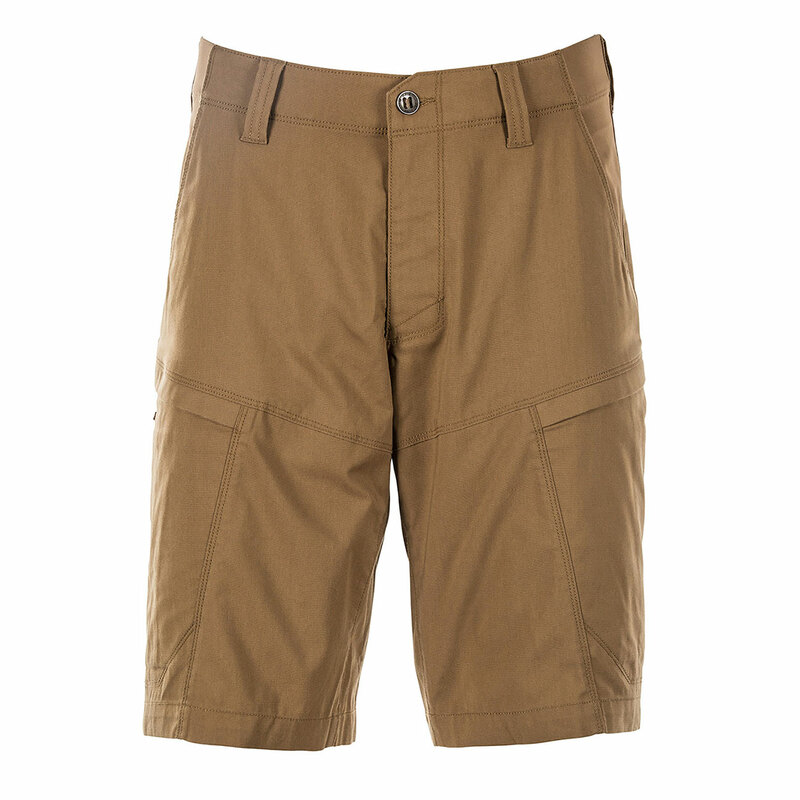 Perfect for casual wear, covert wear or a day at the range, 5.11’s Apex Shorts are built for functional performance. 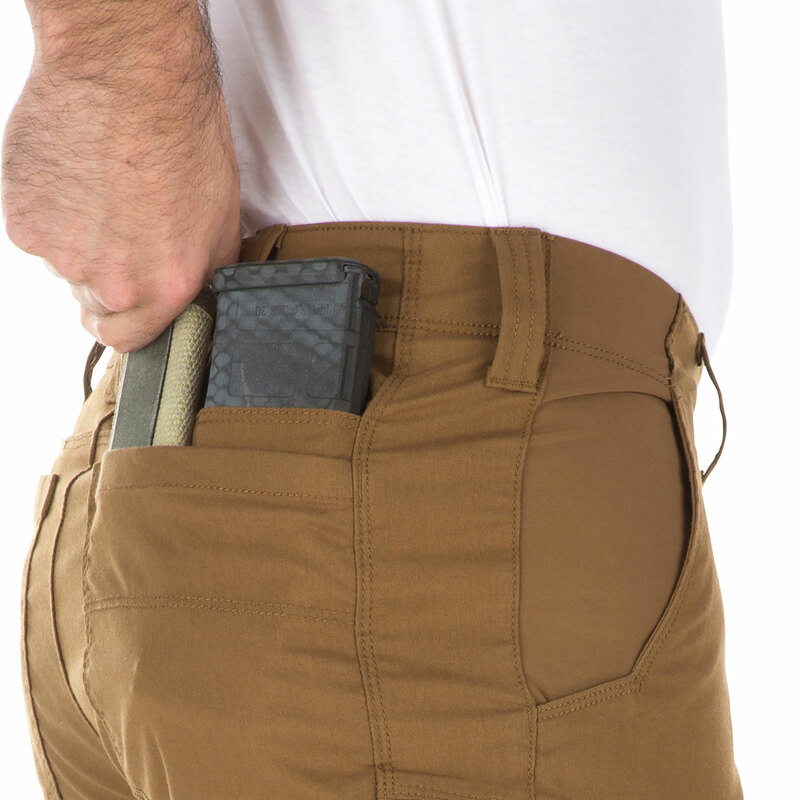 Twin back yoke pockets and thigh-mounted cargo pockets with internal pockets sewn into each cargo pouch are all sized for AR magazines. 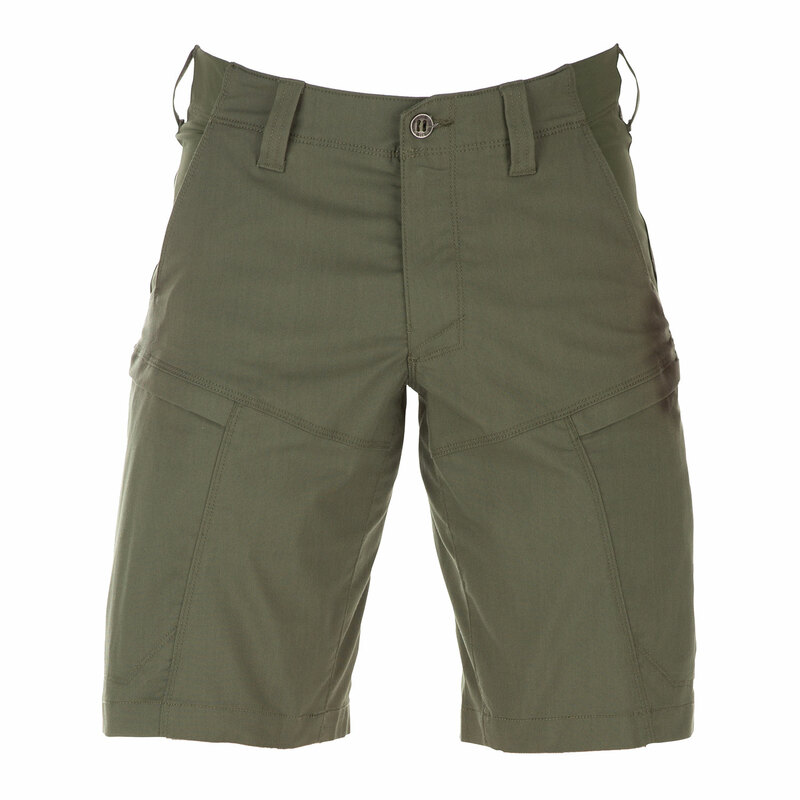 Front hip pockets feature nylon reinforced fabric at the knife clip. 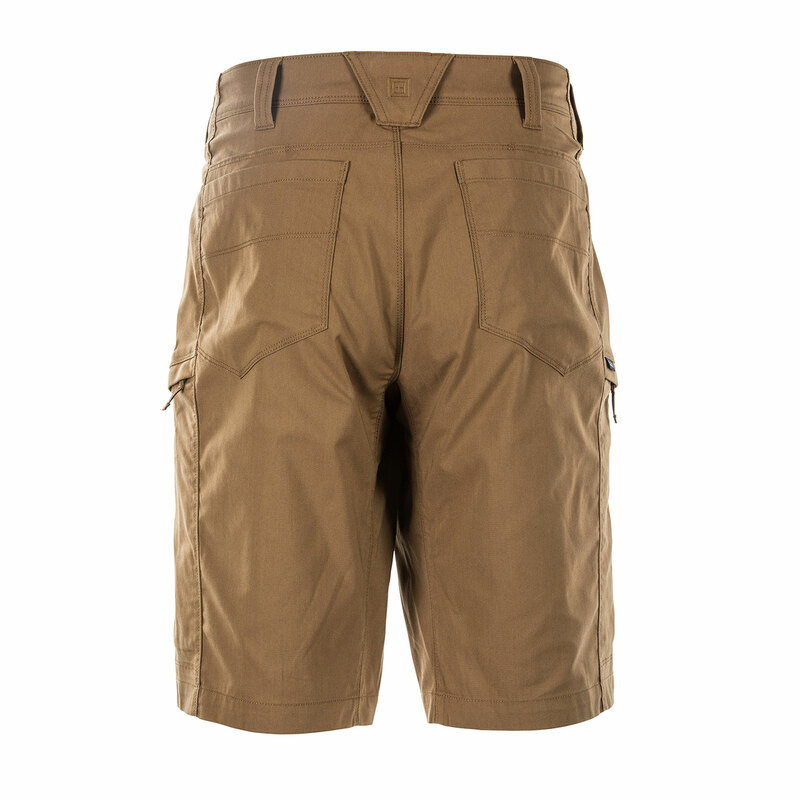 Constructed from Canvas Flex-Tac™ mechanical stretch fabric, these shorts combine flexible comfort with durability. 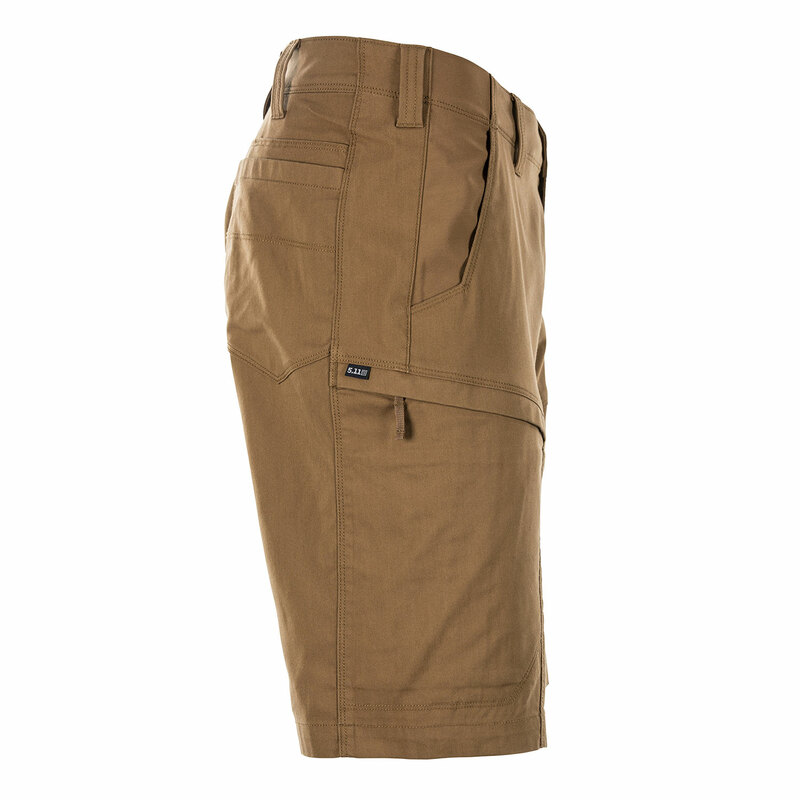 Gusseted construction allows additional range of motion while enhancing comfort. 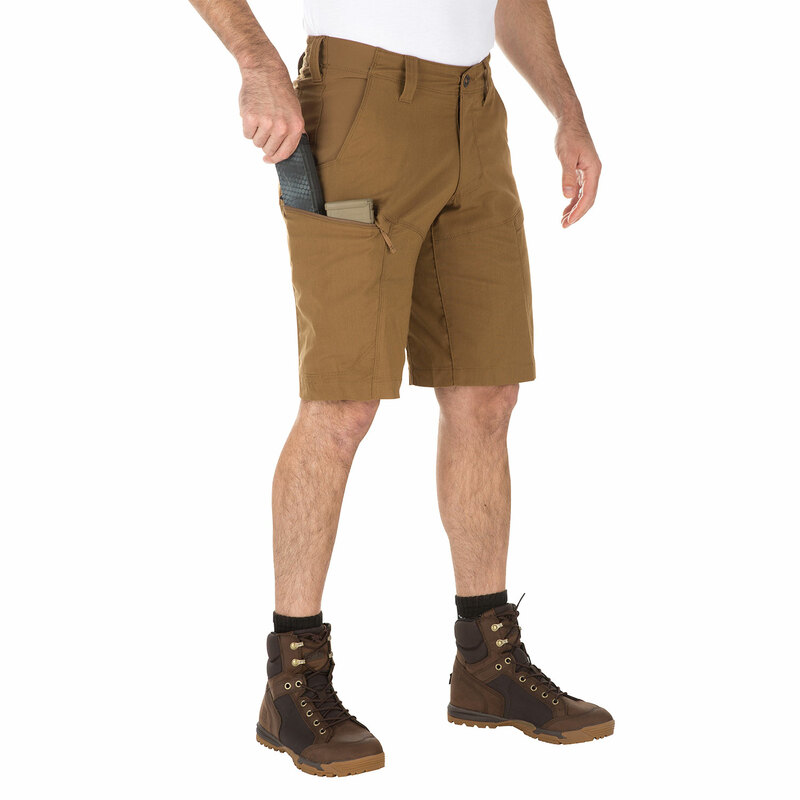 Teflon® treatment repels stains, soil and moisture.